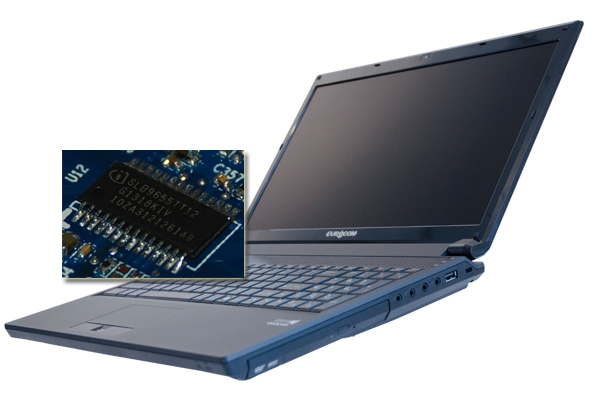 Eurocom is providing a complete line of 15.6 to 17.3” high performance, fully upgradeable Mobile Workstations equipped with NVIDIA Quadro K5100M to K1100M graphics and Trusted Platform Modules to secure the systems and their intellectual property from unauthorized access. At Eurocom we take security very seriously, implanting several systems with three security layers, one being the Kensington Lock Slot which prevents physical theft of the computer system, one being the TPM module to protect certificate private keys and the other being the biometric finger print reader to lock down access to the computer to only authorized individuals. Eurocom Mobile Workstations range in size, mobility and capability, providing customers with the exact system that meets their requirements, while further configurability and upgradeability allows users to choose the exact components and configuration they need. Having the ability to choose the screen size, processor, storage capacity and medium, graphics card, memory and wireless card allows Eurocom customers to build the perfect system to meet their needs. “Many of our customers utilize their Eurocom equipment for engineering, design, software development and other activities that involve valuable intellectual property information. Due to this, we feel the need to provide them with the utmost in secure computing to keep their information and livelihood safe.” Mark Bialic, Eurocom President. Offering VGA upgradeability though modular MXM 3.0b technology from NVIDIA Quadro K5100M (8 GB) to K1100M (2 GB) so users can choose the professional graphics performance they require to super charge and mobilize their workflow. Eurocom Mobile Workstations with NVIDIA Quadro professional graphics are the ultimate mobile tool for 3D design, CAD, CAM, CAE, modeling and engineering professionals who demand an easy to carry around, heavy duty system with high performance, professional capability. Eurocom Mobile Workstations are designed for professionals who frequently travel and need capable hardware to fulfill their professional commitments. All of Eurocom Mobile Workstation are built with high quality mechanical designs and enterprise grade components. During internal shock testing, to prove the quality of the system, our Mobile Workstations were administered to 166 G of acceleration shock and a series of vibration tests without failing a single judgment standard and being fully operational with no damage. Eurocom integrates NVIDIA Quadro professional graphics into our professional class notebooks because they adhere to higher quality and reliability standards. NVIDIA Quadro GPUs are designed and built to provide leading performance, reliability, compatibility and stability with applications like Adobe Creative Suite 5.5, Autodesk 3DS Max, Autodesk Autocad 2011, Autodesk Inventor 2012, Avid Media Composer, Dassault Catia, Dassault Solidworks, Siemens X, ANSYS, MATLAB, Dassault Simulia, among many Computer-aided Design (CAD), Computer-aided Manufacturing (CAM) and Computer-aided Engineering (CAE) software. A TPM device is affixed to the motherboard and is secured from external software attacks and physical theft. The BIOS uses the TPM to collect and store unique measurements from multiple factors within the boot process to create a system fingerprint. This unique fingerprint remains the same unless the pre-boot environment is tampered with. Therefore, it is used to compare to future measurements to verify the integrity of the boot process. The Trusted Platform Module addresses a fundamental aspect to IT security: the root of trust. Embedded into devices, the root of trust, typically implemented by the TPM, provides a proven, safe foundation for more secure computing. On Eurocom Mobile Workstations, setting up the TPM module to protect your system and its data and intellectual property is quite easy. Simply enter into the BIOS and enable it to display the full TPM configuration menu, where the TPM state can be selected. Then install the TPM driver from the Device Driver & Utilities disc. Run the Infineon Security Platform and save the passwords and data to a storage medium for safe keeping. At Eurocom, all of our TPM chips are made by Infineon, who is a major semi conductor manufacturer providing chips for a variety of professional uses. While the TPM’s main importance is to embed a hardware root of trust for integrity measurements, the TPM can also more securely manage encryption keys. The TPM allows users to generate, store and limit the use of cryptographic keys. Once the TPM is activated, users can easily encrypt files, folders and email as well as more securely manage passwords. To meet multi-factor authentication requirements, the TPM complements fingerprint readers and stores the keys associated with them securely, and the TPM can be used with a smart card reader. The TPM, a cryptographic integrated circuit, provides a hardware based approach to manage user authentication, network access, data protection, that takes security to a higher level than software based security. The TPM helps ensure platform integrity by taking and storing security measurements. So this all means that the system which contains a professionals designs, drawings, intellectual property and private data is much more secure from a variety of potential threats.